After dozens of requests I just had to write this article. So I have compiled 10 clips that appear to show mysterious monsters. You can decide for yourself whether you think they are real or fake. 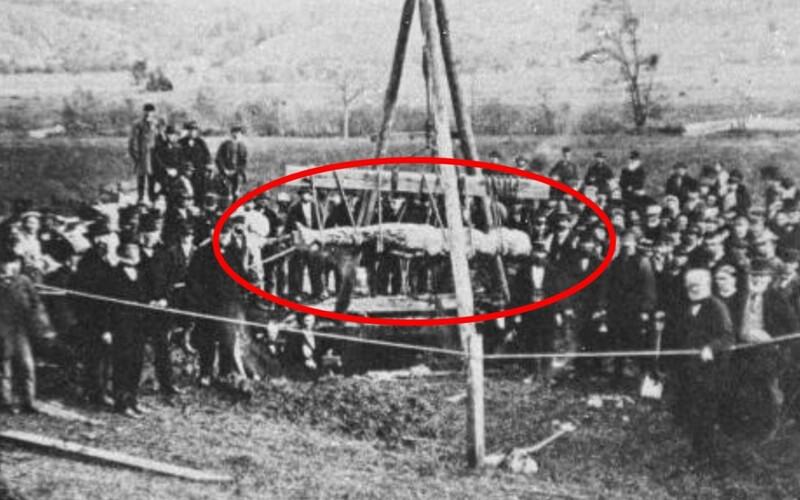 Here are 10 unexplained creatures caught on tape. In this video a man hears strange noises on the outside of his house. So he grabs his camera and has a look. What he captures is unexplainable. It is said to be a creature known as the rake. The rake stalk people for months before killing them in the dead of night. The origin of this video is unknown and I haven’t heard any explanation for it. It appears to show someone driving through a remote area. He slows his vehicle to avoid hitting the person in the road ahead. But as the video goes on the white figure seems less and less human. The video is noteworthy due to the horrific scream let out by the man. This video comes from inside a sewer in Northern England. It was captured by a camera mounted onto a service robot and it shows a small creature run past in the pipe ahead. Later in the video, a much larger creature with glowing eyes seems to peer at the service robot. As if it was investigating it. This one starts off as a fairly normal video of a child being filmed by his mothers. But a small goblin runs across the floor behind him. It’s presence doesn’t seem to bother them though as they try and get a better look. This video seems to show some teenagers exploring some kind of abandoned school. Upon entering on room their camera captures a shodowy figure walking towards them. They don’t seem to have even noticed it, but a strange loud noise emerges at the same moment as the shadowy figure. This video is said to show a type of stick – like creature emerging from behind a tree. Little is known about this creature as they live in remote woodlands and usually avoid people. So they’re like hobbits. This video brings the shocking news that either mythical creatures exist in India – or that Indian people can fly. We have here Indonesian security footage showing what is now known as the Indonesian Angel. If it’s fake, it’s been done really well. You can make up your own mind. Filmed in Spain, a group of men are walking through a forest when they encounter the most terrifying creature of all time. It’s generally thought to be either a fallen angel or a hybrid human created by the Spanish government. I hope it’s just a hoax. In Iceland, legend tells of a huge monster. Many think the monster can be seen in this video. It was first reported in 1345 and is still widely believed in by the people of Iceland. They call it the worm monster.